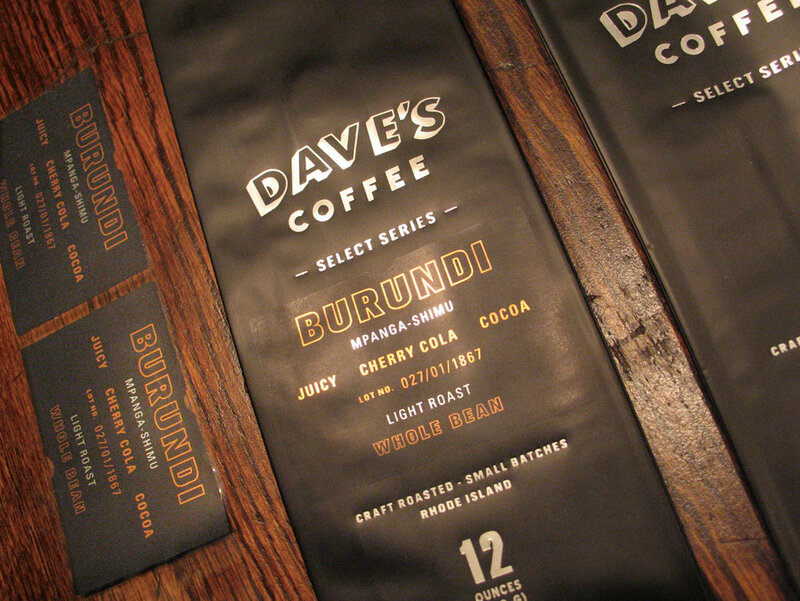 DAVE'S COFFEE SELECT SERIES — Holmberg Design Co.
Dave's Coffee wanted to create new premium line of coffees to exist with their current products. 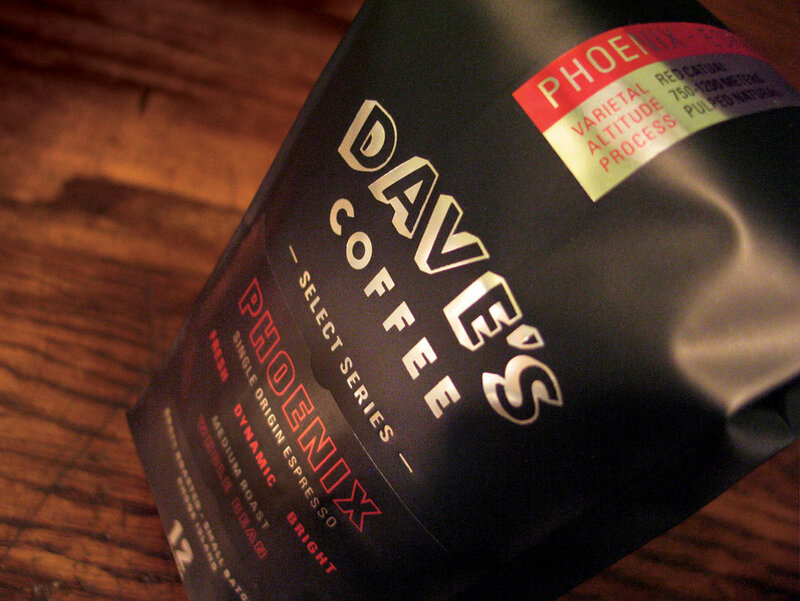 A black matte coffee bag was foil stamped, and labels were printed on a foil material with a matte coating to isolate the metallic feature to the typography. 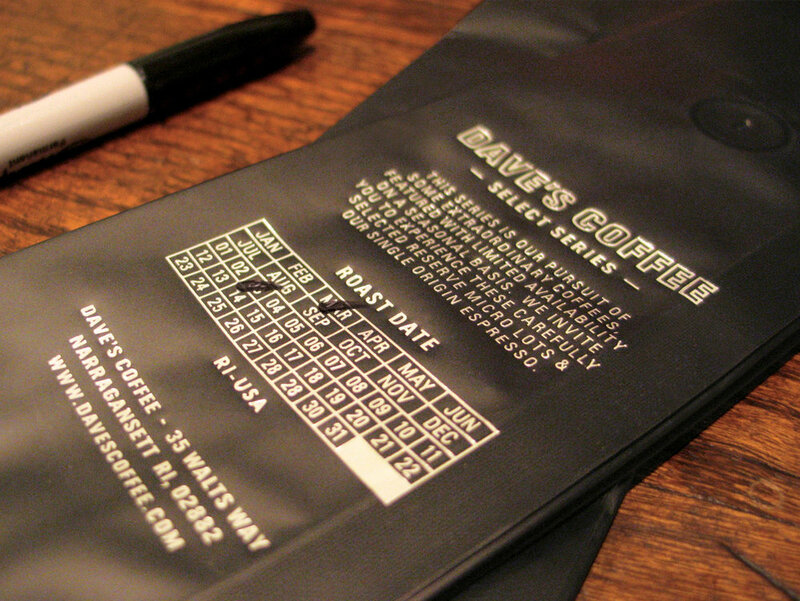 The roast date is hand checked with marker upon roasting using the grid on the back of the bag.